My nephew is a high country sheep farmer and has recently taken over the family business from his father. In the high country of the South Island of New Zealand, a land where sheep outnumber people by 20 to 1, my nephew Hamish runs around 12000 sheep over 60,000 acres. This is Lord of the Rings country. Not the idyllic landscapes of the Shire. This is the harsh and majestic landscape on the way to Mordor. The holdings are so large because the high country land is poor, suitable only for the Marino breed of sheep farmed not for their meat, but the fineness of their wool. Farms of this size are known as Stations or High Country Runs. one smooth movement onto his shoulders and then arranged the ewe around his neck and proceeded to climb back to the truck. He then deposited the sheep on the bed of the truck, climbed in, and we drove off. Now to say I was impressed by his agility and strength is something of an understatement. In that moment, he resembled the poster add for Speights, a local beer which advertised itself as the drink of the Southern Man, take a look a kind of N.Z. equivalent of the Malboro Man. The Old Testament image of the shepherd leading his sheep over the rocky hillsides is not an image that translates to modern N.Z. shepherding, where the term herder is used more commonly than shepherd. The herder stands to the side and through piercingly high whistles, produced through a tightening of the lips or by use of a flat plastic device held between the lips, he directs the sheep-dogs in their task of rounding up the sheep and driving them to where the herder is directing. In N.Z. because sheep are driven not led, there is normally little s ense of the intimacy between shepherd and sheep conveyed by Jesus’ image of the Good Shepherd. Yet, in the moment when my brother-in-law bounded off to retrieve his solitary ewe, all the power of the Biblical image of the Good Shepherd who leaves the 99 to go in search of the one lost sheep communicated itself to me with a powerful and intense immediacy. I witnessed in that moment my brother-in-law’s concern for his ewe, a concern that went far beyond the animal’s economic value for him. Jesus refers earlier in John 10 to the sheep knowing his voice and being able to distinguish his voice from the voices of the imposter. This communicates the intimacy of the connection between shepherd and sheep that Jesus clearly has in mind. 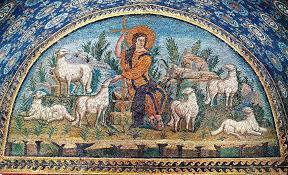 It’s the inherent quality of recognition that makes the image of the good shepherd stand out among the many powerfully evocative images that Jesus takes from everyday 1st-century life. I am the good shepherd. I know my own and my own know me, just as the Father knows me and I know the Father. I am like the good shepherd. I know about my own and my own know about me, just as the Father knows about me and I know about the Father. There is a world of difference between knowing and knowing-about. Jesus’ image of the good shepherd is an image that reflects the intensity of his experience of knowing, and being known by, God. I am drawn by my desire to know and be known-by. But there is something more comfortable and less demanding; a good deal more self-protective in knowing-about and being-known-about. Herein, lies another example of the ambivalence of my all too human heart. That which I long for most is the very thing I need also to distance myself from. It’s one thing to be moved by the poetic intensity of the Jesus’ image of the good shepherd and quite another to open to the costly experience of knowing and being known-by. In the intimacy of knowing and being known-by there is no place to hide. George Herbert captures the essence of the struggle in Love bade me Welcome and you might like to listen to Ralph Vaughan Williams musical setting of this powerful poem in his series of Five Mystical Songs. To love is a risky business. To allow ourselves to be loved, now that is the trick! I find myself preoccupied with a particular struggle that takes place along the axis between the spiritual and temporal dimensions of experience. My struggle concerns how do I apprehend the spiritual in my experience? The answer is I am never sure. At times, I seriously question if, as a thoroughly brainwashed child of the post-Enlightenment, I even can. This disturbs me and hence my rotation along the axis that divides spiritual and temporal domains of experience. It seems to me that Christianity in the West suffers from two very foundational problems, which were not problems for Paul. 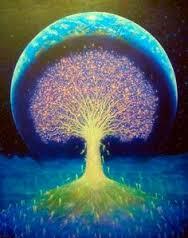 First, we do not seem to believe in the active, dynamic reality of the spiritual world. For most of us, the “real world” is this physical, material world. So when I use a word like consciousness or the collective unconscious, many Christians are afraid I must be some kind of New Ager. Christians should be the first ones to understand that the first and final state of reality is spiritual, or the unmanifest, as some have called it. But we have been so caught up in the world of forms, or the manifest, that it becomes all we take seriously. If religion is to be reborn at any dynamic level that is really going to change society or change the world, we must understand that spiritual reality, consciousness, or Spirit, if you will, is the true reality; all the rest, including the material world, emerges from it. That’s a switch even for people who think of themselves as religious. True spiritual cognition does not come naturally to us. My experience, even as a so-called religious person is as Rohr describes – true spiritual cognition or more aptly recognition does not come naturally to me – or at least in any form my psycho-cultural filters allow me to easily recognize. Thus, as a result of a combination of psychological predispositions and my cultural and educational formation in the age of disenchantment of a world shaped by the Newtonian scientific paradigm, the transcendent is filtered out. The Newtonian paradigm of time, space, and matter, operatings according to seemingly immutable laws of cause and effect, past, present, and future has no way to allow the possibility of Christ’s resurrection. 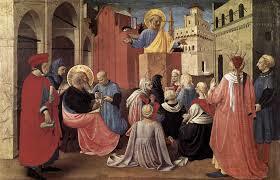 The most resurrection can be thought of is – as an interior psychological experience of the disciples. They believed Christ was raised from the dead because they experienced him returning to them as reported in Luke’s 24th chapter and the other Gospel narratives of post-resurrection appearances, particularly John’s. 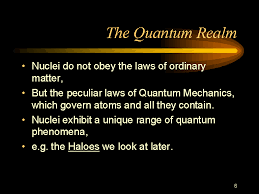 Beneath Newtonian reality there lies a domain physicists call the Quantum paradigm. Here, we glimpse the energetic underpinning of the material universe we experience. The only point I want to stress here is that in the Quantum paradigm energy and matter behave differently from our Newtonian conditioned expectations. In the Quantum realm we can observe nothing as it happens, we can only speculate as to what has happened after the fact, as it were. We see the traces – the vapor trails, and we hear the echoes of energetic processes and structures only after something has happened, not as it is happening. Even in out attempts to directly observe the processes and structures of the Quantum realm, one key difference from the Newtonian realm is that our position as the observer generates what we see, e.g. particle or wave, but never both. This all seems very unscientifically contradictory. Its downright mysteriousness reminds me that our observations and perceptions of the Quantum and spiritual domains share a common difficulty. We speculate as to their existence through our experience of their effects. Our speculations are hampered and constricted in both accounts by the limitation of language to fully articulate a non-dualistic world. I mean that language is shaped by our experience of a world in which things are always this or that, but never both! Yet, that is what we grasp after in any articulation of the Quantum and spiritual realms. All we have are metaphors, similes and analogies. In his book Quirks of the Quantum (22-23), my friend Sam Coale speaks of language being designed to describe a world where although perspectives of what is seen may differ from person to person, there is no dispute that we are all interacting with an object that exists independently of our interaction with or observation of it. The language of Quantum theory and spirituality are both languages of speculation and imprecision as we chase after that which can’t be directly apprehended and described. In the quantum and spiritual realms there is not direct encounter, only speculation about encounter through our experience of its after effect. Luke’s chapter 24 is an account of the disciples very long traumatic and exhausting Easter Day. At the break of day the women discover the empty tomb and encounter the angels asking why are they looking for the living among the dead? When they report their experience to the male disciples, they are dismissed as rambling and hallucinatory women. So Simon Peter goes to see it for himself while another couple of the male disciples set out for Emmaus, a village about five miles outside Jerusalem. On the road to Emmaus, they are joined by a stranger. It’s Jesus but despite their hearts burning unaccountably within their chests they don’t recognize him until he breaks bread with them. Their minds can only recognize what is familiar to them. In his action of breaking bread, Jesus triggers a memory of him at which point they recognize the man in front of them as their familiar Lord. They rush back to town and on arriving find the rest of the band in the upper room. As they are telling the others of their experience Jesus comes and stands in the room with them and says: Peace be with you. To describe them as being startled and terrified must be a considerable understatement. People of the 1st Century no more expected the dead to come back to life than we do, and so their only explanation was that they were experiencing an intrusion from the spirit world into their experience of the here and now. Through the trauma of this day and the events that have led up to it, the disciples come to recognize, not just the Lord they thought had died. They come to recognize the Lord who died and is now alive again as familiar and yet radically different at the same time. At the risk of torturing a Quantum analogy, it’s as if having only ever having seen him in particle matter form – they can now see him as energetic wave. In life, in the face of defeat and confusion, pain and suffering, we come to self-recognition and redemption as new understandings of the world around us emerge. This leads to actions that reveal a completely new picture of ourselves. As Paul Tillich put it, suffering introduces you to yourself and reminds you that you are not the person you thought you were. Proof of Tillich’s point lies in the contrast between Peter in Acts 3 and the man portrayed in Luke 24. Peter has become the man he never imagined he could be. Peter’s journey from Luke 24 to Acts 3 is a journey of self-recognition and the transformative power of redemption. Through confusion and disillusionment, and the necessity of letting go cherished hopes and expectations, Peter is conformed by the new life of the resurrected Christ. It’s not that he necessarily understands what has happened, only that he knows the truth of it because he experiences the effects of it. In the Newtonian paradigm, the dead do not come back to life. There seems no mechanism to enable this to happen. In the Quantum paradigm matter and energy seem interchangeable. No one knows how the Quantum realm really interfaces with Newtonian reality, whether how or even if one domain or dimension affects the other. What matters for me is that Jesus’ resurrection, which remember is God’s action and not his, can no longer be ruled out purely on the basis of our Newtonian expectations of how the universe should behave. At the end of the day, there is more to the universe than meets our eyes. Our expectations are after all, only the products of what we already expect to see. None of the disciples saw the resurrection. Yet, the good news is we are somehow called beyond expectations. The disciples simply became transformed through the experience of the effects of the resurrection of Jesus upon them. 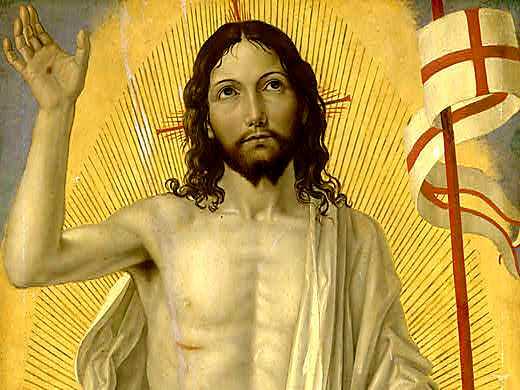 As they come to recognise the reality of the post-resurrection experience of Jesus, they become open to becoming the persons they never dreamed they were. Who might it be that we have yet to recognize ourselves becoming? Let’s begin to pay more attention to that possibility in this Easter Season. I found a report on NPR about a study conducted by psychological researchers at Johns Hopkins in multiple infant observations startled me this last week. The researchers seem to have discovered that the laws of Newtonian physics are hardwired into human perception from the earliest stages of human development. In one experiment, they explored the infant’s relationship with objects, a ball in one case, and a toy car in the other. They rolled the ball along the floor in order to attract the infant’s attention. The baby hardly paid any attention to the ball beyond an initial observation. They tried to interest the infant in the fact that the ball squeaked. When, later they presented the ball the infant showed no indication that it remembered the ball squeaked when pressed. Then through clever photographic manipulation of images, they engineered it to appear to the infants that the ball rolled straight through a solid wall. Watching the ball roll through a solid wall attracted the avid attention of infants. While sitting in their high chairs, they were presented with the new ball to play with. The infants then repeatedly bashed the ball against the surface of their food tray, seemingly in an attempt to test-out its solidity. It seemed no difficulty for the babies to now remember that this new, much more interesting ball, also squeaked. In a second experiment, they projected the image of a toy car sailing through the air. As with the ball, the car floating through the air immediately attracted the infant’s attention. When given the toy to play with teach baby repeatedly dropped it on the floor, seemingly to test- out whether it would float or not. The startling discovery from these experiments is that our human perceptions and expectations based upon the Newtonian Laws of the way the physical universe behaves are not only learned but seems to some degree to be innate. It seems that this is probably an evolutionary adaptation that enables human beings from birth to survive in a physical universe that can be predicted to behave in certain ways rather than others. Survival required this adaptation, which now seems to have become hardwired into even the most anatomically unformed of human brains. The different Gospel accounts of the resurrection, though they differ widely in their details, all seem to be accounts struggling to make sense of what they thought impossible. Now, remembering that the pre-scientific mind had a much richer range of explanations for the seemingly impossible than we possess today, it seems even allowing for a high degree of what Charles Taylor calls enchantment, the disciples knew without any reference to Newtonian physics that the dead do not, as a rule, come back to life. The Gospel records struggle to make sense of experience which is not only improbable, but unaccountable. The response of Mary Magdalene outside the tomb in supposing Jesus to be the gardener is but the first of a whole series of experiences of the risen Christ where the disciples simply fail to recognize Jesus. Now this could be because he was unrecognizable. Though seemingly, their lack of recognition had more to do with the way their natural expectations blinded them to the reality in front of them, than to any radically changed appearance of the post-resurrection Jesus. Psychologically, we know that most of us only recognize what our brain is already looking for. That our perception of reality is colored strongly by what we already have experienced. For me this is the most obvious explanation for Mary, who is but the first in a series of encounters where those who knew Jesus intimately fail to recognize him because their brains are not looking for him. In a twist on the words of the angelic visitors in the tomb, the disciples are not looking for the living among the dead. Like the Johns Hopkins babies, the disciples seem to experience a conflict between expectation and experience. Resurrection is the concept that reconciles their psychological conflict. 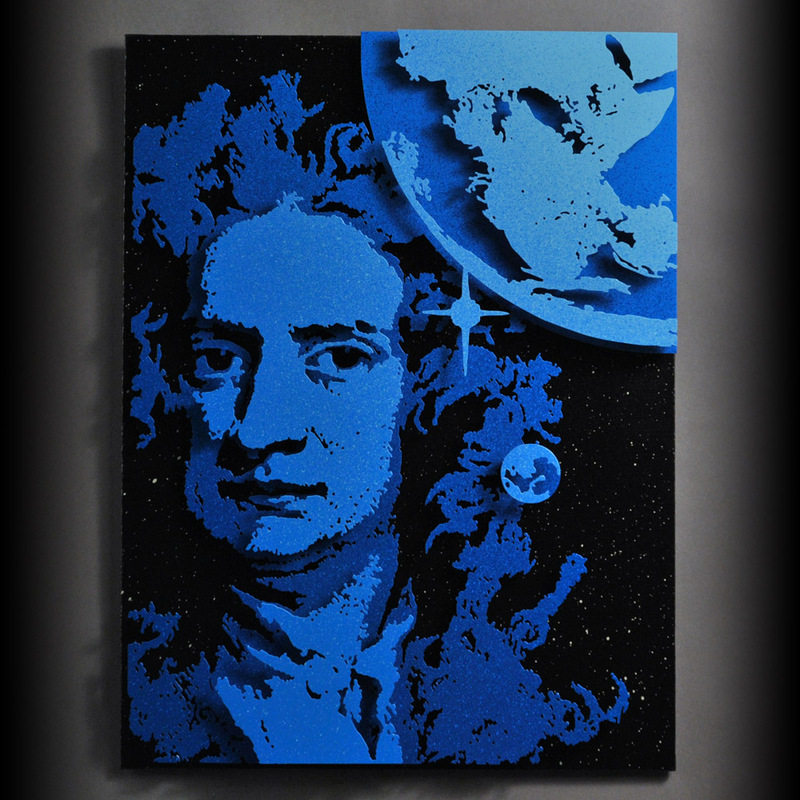 The conventional view is that Newtonian theory didn’t invent the physics of the material universe. It simply observed and articulated that which human beings instinctively know to be true. Yet, a new realization seems to emerge from the Johns Hopkins infant observations. Newtonianism is not the result of our observation of the way the universe works, it is a creation of our perceptions. The evidence of infant observation is that Newtonian expectations are hardwired knowledge. It seems that even young infants don’t expect balls to roll through solid walls, or toy cars to float through the air. We don’t expect people we have seen die – return to physical life after death. From the inconclusiveness of the Gospel narratives of the resurrection event, neither it seems, did the followers of Jesus. Yet, resurrection is the account they settled on to explain their experience. It’s been fashionable among progressive and theologically liberal Christians to understand the first Christians experience of Jesus’ resurrection as a spiritual (internal) experience. In earlier phases of my ministry, I trumpeted the spiritual interpretation of the resurrection. According to this way of looking at the event, what did or didn’t actually happen to Jesus was and remains, irrelevant. 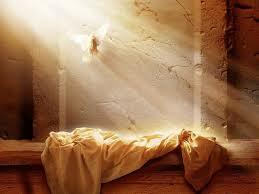 The point being, that the disciples had a spiritual experience of the risen Jesus. I am a firm believer in the transformative power of psychological and spiritual experiences to transform our experience of reality. What is irrefutable is that the experience of the empty tomb, and the disciples subsequent encounter with a risen Jesus, whether considered spiritual, i.e. internal or not, changed lives and birthed a powerful world transforming religious movement. The big question is not what did or didn’t happen in the tomb? Maybe that will always be just beyond our grasp to explain, i.e. a genuine mystery. The big question is why did the first Christians settle on the concept of resurrection to explain their experience? The Anglican bishop and biblical scholar N.T. Wright makes the telling point when he asks why would the first Christians adopt the concept of resurrection to explain a spiritual experience of the risen Lord? After all, they had concepts for such a spiritual experience. They had a theology of the souls of the righteous, who because of their virtuous living after death, ascended to dwell with God. So why choose resurrection, because in Jewish theology resurrection referred specifically to the return to physical life after physical death, or as Wright coins it: life, after life after death. The simple answer to this is that the disciples became convinced by their post resurrection experiences of Jesus that he was, in truth the Messiah. A key characteristic of being the Messiah involves resurrection, or coming back to life after death. The Jews had lots of pretend messiahs, and the key thing that identified them as pretenders was that they died and did not come back to life. The first Christians’ claim that Jesus was the Messiah required the authentication of a resurrection. So did they simply convince themselves that their experience was the result not of a spiritual awareness, but and event in external reality? There is a more complex answer to the question and it takes me back to the Johns Hopkins infant observation. The discovery of a Quantum reality where a different set of physical laws operate shows that the Newtonian view of the physical universe is at one level, simply an observation of how we experience the laws of physics to actually operate. Therefore, our actual experience is that when a human being dies, they do not come back to physical life. What excites me about the Johns Hopkins research is the way Newtonian-type expectations are not simply our adult brain’s observation of the way the universe works. They are evolutionary expectations constructed by our brains from the start of life. The promise of New Life is to be open to experiencing at the very least the improbable. This is not simply magical thinking. Like the infants in the Johns Hopkins observation, I want to become excitedly curious about the effects of God’s interpenetration of Newtonian reality with something much more enlivening. something more akin to a quantum-like reality of the spiritual dimension. Here, what is real is continually shifting and changing according to the experience of the observer. The infants, when presented with an ordinary ball or toy car, behaving ordinarily in time and space, showed little interest in the objects. They were neither curious about them, nor did they remember much about them. Once the object defied their brain’s Newtonian construction of how objects should behave, the infants became excited about them. Their excitement stimulated their curiosity for exploration and testing out. Is there a lesson here for us as we contemplate the promise of New Life through the resurrection of Jesus Christ this Easter? In my experience that which is supposed to be improbable is one of the key characteristics of God’s presence within the flow of my life and in the divine action I see all around me in the wider world. Like the infants in the observation, to be filled with excited and curious amazement at suddenly imagining a whole new range of possibilities, now wouldn’t that be something?